Smack dab in the centre of Saigon’s central District 1, 4-star Bay Hotel offers comfort, amenities and convenience. Opened in June 2016, this 251-room boutique hotel excels in delivering excellence in Ho Chi Minh City without being fussy. With a free minibar, a rooftop bar, a ground-floor restaurant and city tours, staying at Bay Hotel Ho Chi Minh will help you see the best side of Vietnam. The best way to describe the hotel architecture here would be modern. Cool colours conquer, with sleek designs prevalent in the hallways, restaurants and rooms. This hotel boasts four different styles of room, and all of them are elegant. 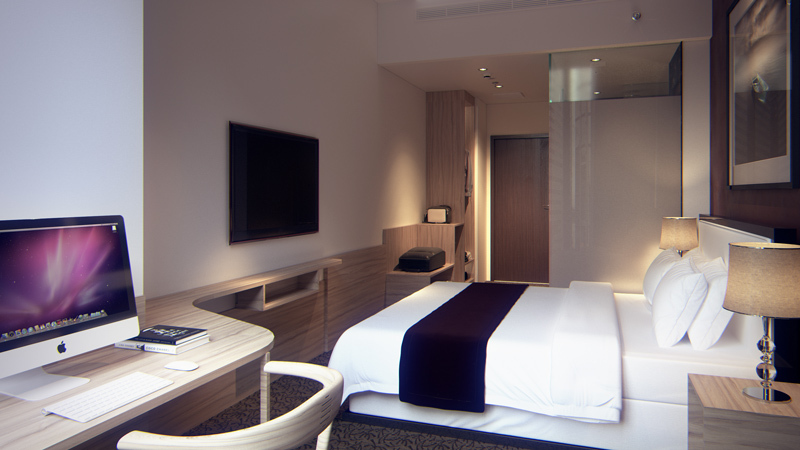 You can choose a suite, business room, deluxe room or superior room. Whatever you choose, you’ll have a clean room with enough space for comfort and style. One of the perks about staying at Bay Hotel is the incredibly central location. It’s on Ngo Van Nam, which is just off Ton Duc Thang, one of the main drags of the city. Best part is, it’s mere metres from the Saigon River. When you stay here, definitely take a stroll along the river—it’s a great way to spend an evening. Besides the view, you also have the run of D1 from this location. You’re a few blocks from the iconic Nguyen Hue walking street, the Saigon Opera House, Ben Thanh Market, plenty of museums and even the Saigon Zoo and Botanical Gardens. Plus, when you’re ready to go home, Tan Son Nhat International Airport is only 15 minutes away by car. Here you’ll get a variety of hotel amenities that will help make your business trip or vacation even better. Guests are able to enjoy a rooftop pool and well-stocked gym and business centre, for for a start. You can also take advantage of the 24/7 room service, laundry and drycleaning service and airport transfers. All of these services are facilitated by a young, eager and international staff fluent in English. Some staffers also speak Chinese and Korean. Or maybe you’re looking to get better acquainted with Ho Chi Minh City and the surrounding area? Good news, because Bay Hotel offers city tours and tours of the Mekong Delta. Bay Hotel has two choices for food and drinks, so let’s start at the bottom (literally) and work our way up. On the ground floor you’ll find Chic Restaurant, a well-lit and serviceable destination if you want a good dinner for an affordable price. The food here is mainly Singaporean, although there are also some nice traditional Italian dishes with an Asian flair. For example, definitely give the osso bucco a try, which has been turned into a delicious and flavourful curry. The meat literally falls off the bone! You’ll also find a good list of wine and drinks to complement whatever you choose. 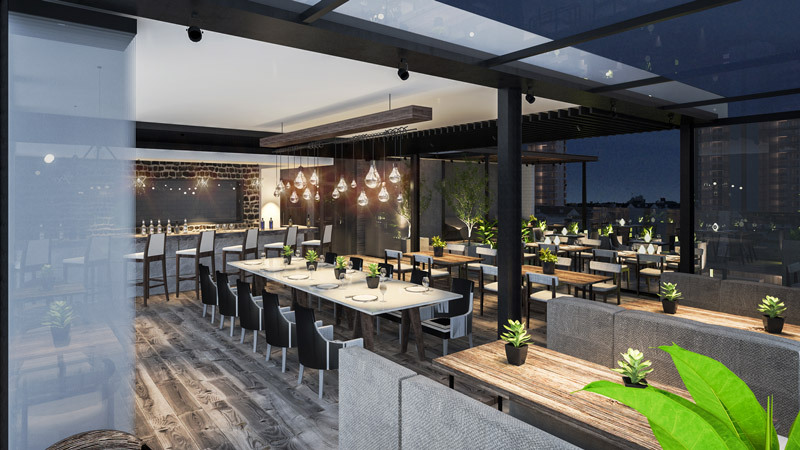 If you’re looking to drink and dine in high style, head up to Propeller, the rooftop bar and restaurant. All done with a modern and sleek design, you can choose to sit inside, surrounded by floor-to-ceiling windows overlooking the Saigon River, or outside on the terrace to see the sky as well. The food here has been designed for sharing, and includes Western as well as Asian tapas. 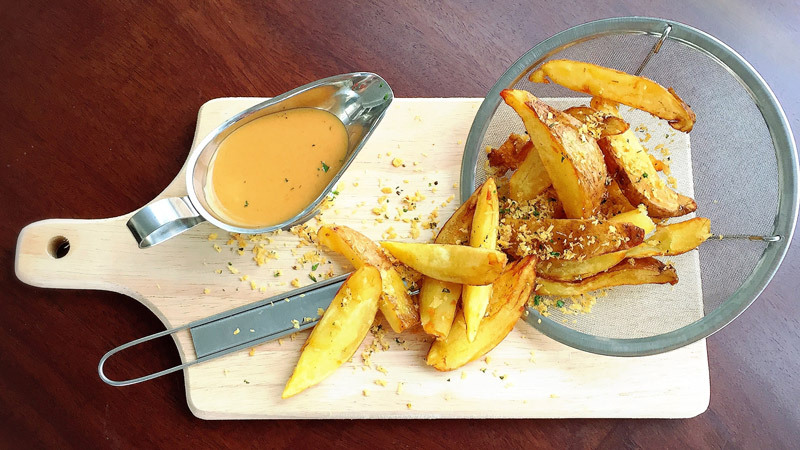 One definite favourite has to be the potato wedges, which are served with a spicy cheese sauce. Of course, the drink menu is also well-curated and features house-made creations along with traditional mixes. If you’re in the mood to spice up your night, we recommend Hot Lips. Both sweet and spicy and garnished with a red pepper, this drink is both delicious and makes a statement! Bay Hotel has a solid 4.0 rating on Google reviews with 122 respondents, and a 4.0 rating on Tripadvisor with 206 ratings. The majority of travellers say it’s “very good” and enjoy the cleanliness of the rooms and convenient location. Some people find the rooms a bit cramped, but these are few and far between. 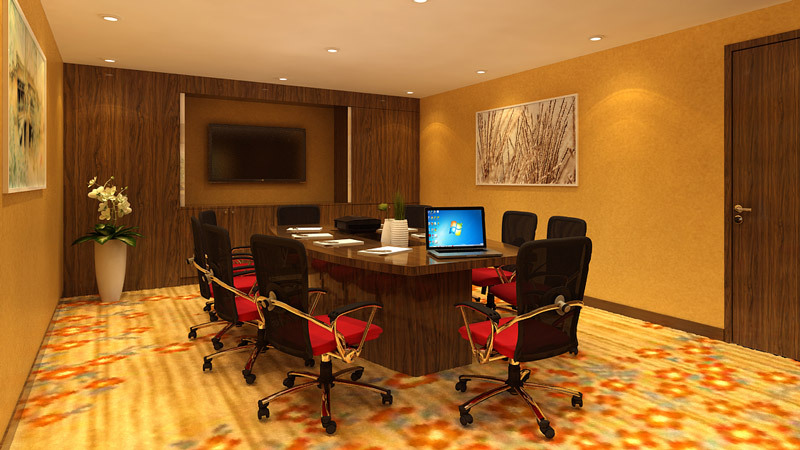 At Bay Hotel, you get an affordable and comfortable room at the centre of the city. If the rooms are a bit cramped, this is made up for with good dining options, an ideal location in the centre of the city, a friendly staff and a glorious, free minibar. They have a free minibar!